An ingenious concept, with surprise after surprise. 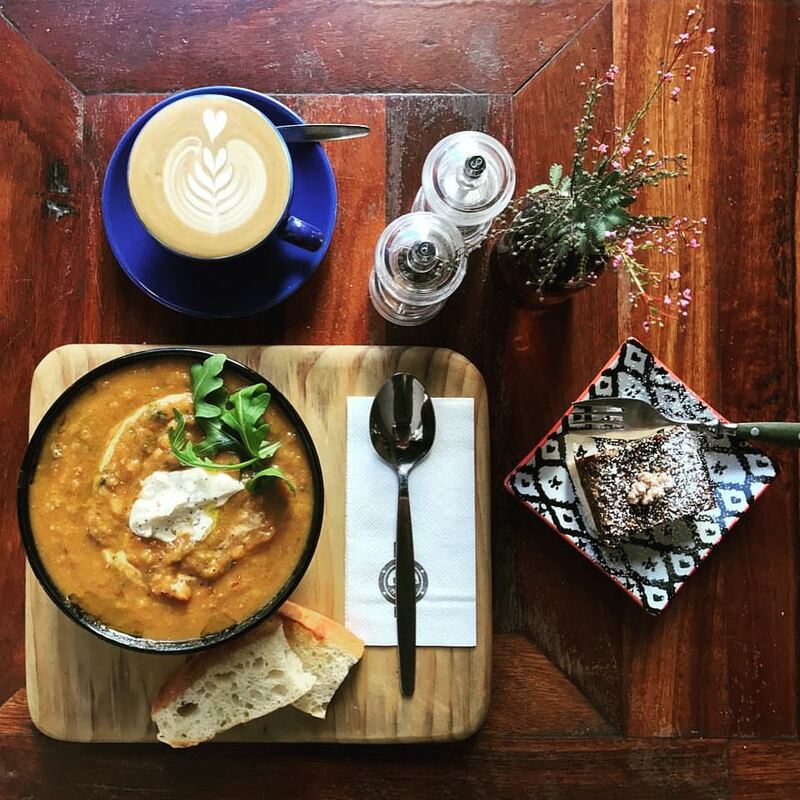 Hidden on the upstairs floor of 618 Hay St, Megan Palandri's Moana Coffee is built on the idea of revitalizing Perth's unused spaces. If you need a landmark, it's just to the right of the David Jones in the Hay St Mall. Sharing their floor with an art gallery, the place has a lot going for it on the visual side, and complements the look perfectly with great people and great drinks. "Because everything in the CBD's on the ground floor, people are so fearful of walking up a staircase. But, when they get past that, they're like 'Wow! There are spaces like this!’"
The quirky, almost rustic interior reflects this to a T. There is an abundance of little details that are easy to miss if you don't look for them: I myself didn't notice a model ship perched on one of the doorways until my third visit. The only thing missing is a bit of polish, both figurative and literal - though to a lot of people, this only adds to Moana's down-to-earth aesthetic. Of course, it would be sin to not mention the Moana Project Space - the art gallery attached to Moana Coffee, and one of its main attractions. Contrary to what one may think, the gallery and café are completely unaffiliated. However, they are still virtually one in the same. "People who come to the café will often go to the gallery, people who come for the gallery stop by the café. It's a sort of symbiotic relationship." 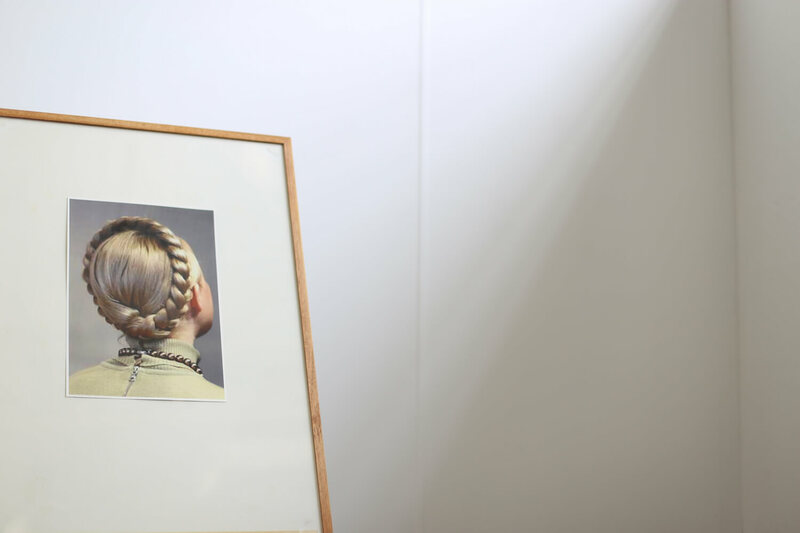 At the time of this article, the current work you can find there is Alex Hobba's A Conversation. It's an experimental exhibit focused on the associations people create for themselves in response to global news. If you want to stop by and have a look, it's up until the 26th of August. 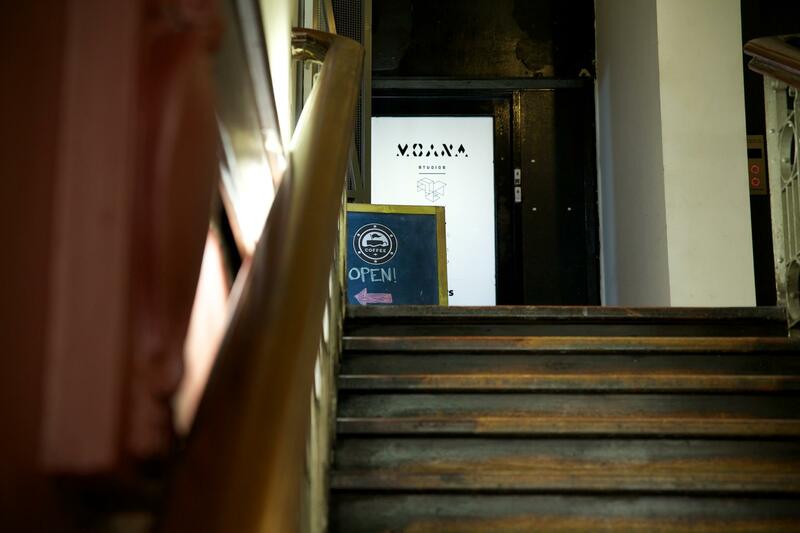 For more info, check the Moana Project Space website. 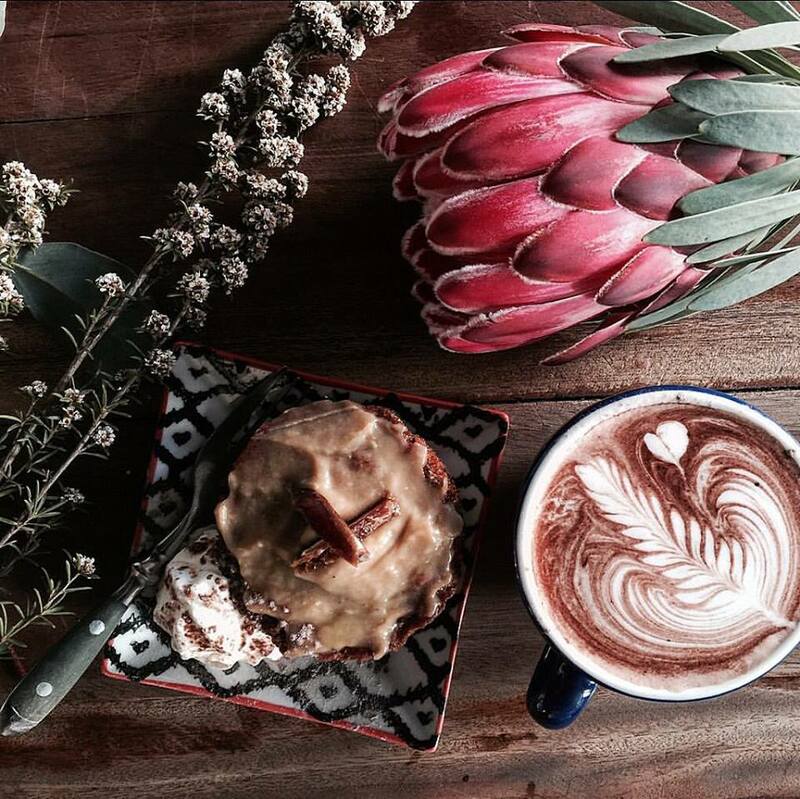 It's not too hard to find a good coffee in Perth, and Moana is no exception. 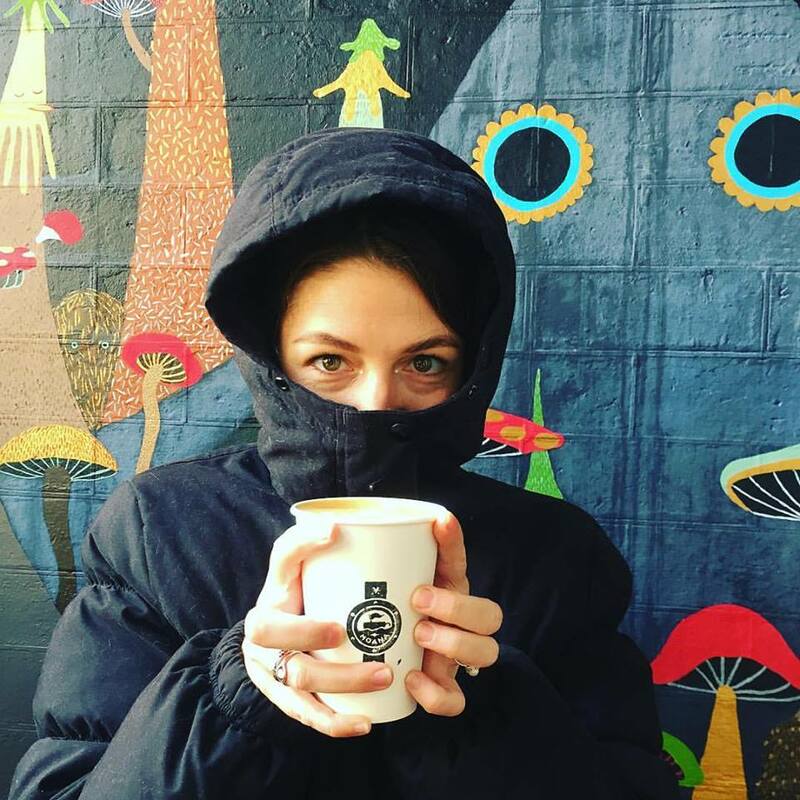 However, the café offers far more than just a standard coffee: to name a few, there’s their rich house blend 'Dark Horse,' cold brews like sparkling lime & ginger, milkshakes, freshly pressed juices, and a unique spin on hot chocolate. All are excellently made, and look just as good as they taste. Moana is the only place I have seen to this day that offers a selection of things to add to your hot chocolate. For those interested, yes, Turkish delight is an option, and there’s also coconut and chilli available... and if you ask nicely, you might get them in your mocha or coffee, too. 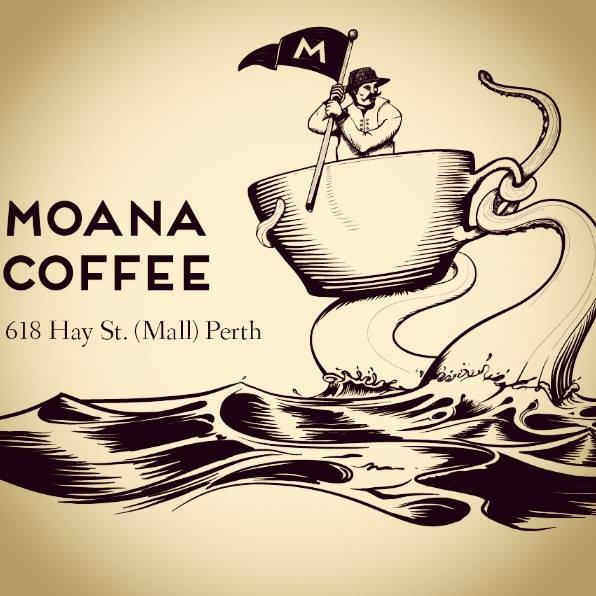 Moana is by far one of the best places for hot chocolates in Perth. The menu at Moana is well thought-out, and includes seasonally based items. You’ll find salads in summer and hot soups in winter, along with bagels, toasted sandwiches, wraps and cakes among their selection. If you've an eye for it, you can also watch some of the sweets and slices being made in-house. Moana's food itself is simple, decent quality, and value for money. While not to the same standard as their drinks, some items like their rotating soups of the day would be difficult to find elsewhere, if even possible. It's worth giving the soups a try: there are unique flavours to be had, and it's a pleasant way to warm up. The most important aspect of Moana's service is its honesty, and the barrier between server and customer is almost nonexistent. Simply put, the Moana staff are friendly and informal. Service is quick, and they're happy to strike up a conversation. It was a refreshing experience talking to one of the baristas about their travel plans, and Megan, the owner, was especially fun to talk to about her choice of decoration. She was forthright, and eager to share as many details as she could, as if her café were a second home. "This is literally like a giant version of my house. I just brought things from my house as well (...) Most of the stuff on the wall's recycled from the tip, and I op-shop a lot." I congratulate this brand of work ethic, especially with how fitting it is to the big theme of Moana: finding something new. With the character of both Moana and its staff there's a personal connection to be had with the place, and just as much with the folks running it. You can find additional information and pictures on the Moana Coffee Website, Instagram and Facebook page.